TechSmith, the fine company that brings us Snagit, Jing and Camtasia, recently dropped us an email letting us know that the new beta version of Screencast.com was now available for testing. In an earlier Screencast.com review, grooveDexter deemed Screencast.com very groovy and recommended the free service to our groovyReaders. 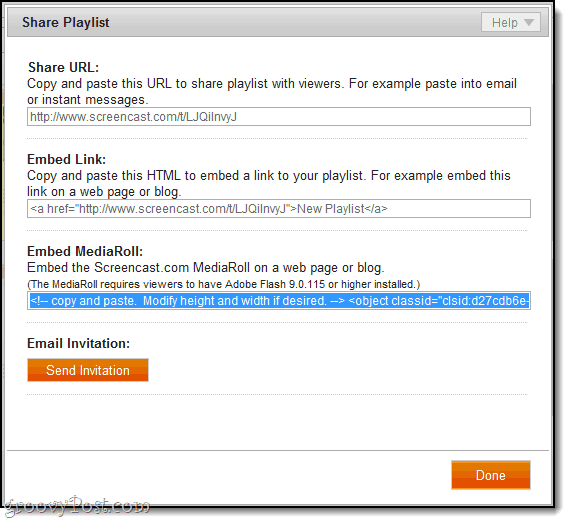 You can share Screencast.com content via links or with an embedded player like we did below. One thing I like about Screencast.com’s embedded player is its simplicity. Plus, Screencast.com / Techsmith doesn’t try to make a buck off your content IE: no off the wall suggested videos or ads. Heck, there isn’t even a logo or link back to Screencast.com! 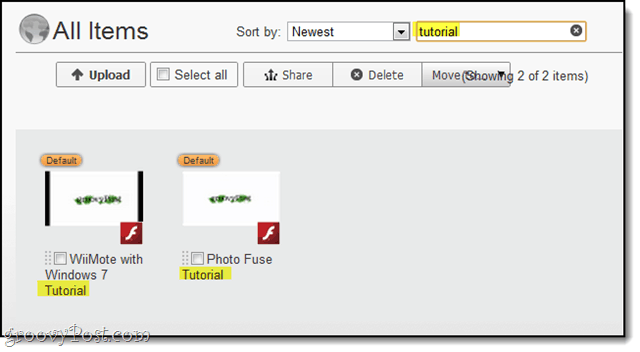 For example., here’s a video we did earlier on Photo Fuse with Windows Live Photo Gallery. Notice how clean the interface is. Simple, easy and, no ads. The free version of Screencast.com allows you to upload 2 GB of data with a 2 GB allotment for bandwidth. You can go pro for $9.95/month and get 25 GB of storage and 200 GB of monthly bandwidth. 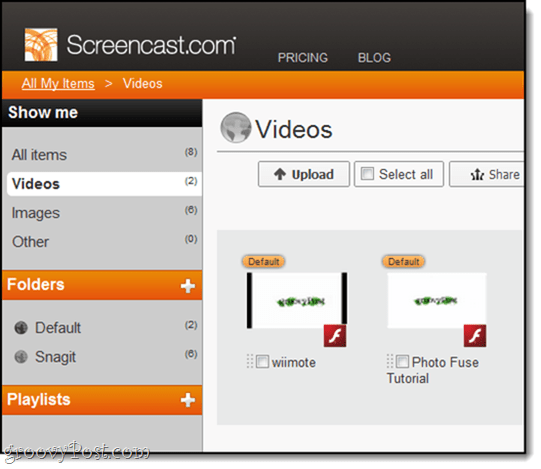 The professional-looking embedded player, the groovy terms of service and the easy integration with our favorite TechSmith applications are all fairly compelling reasons to give Screencast.com a try. 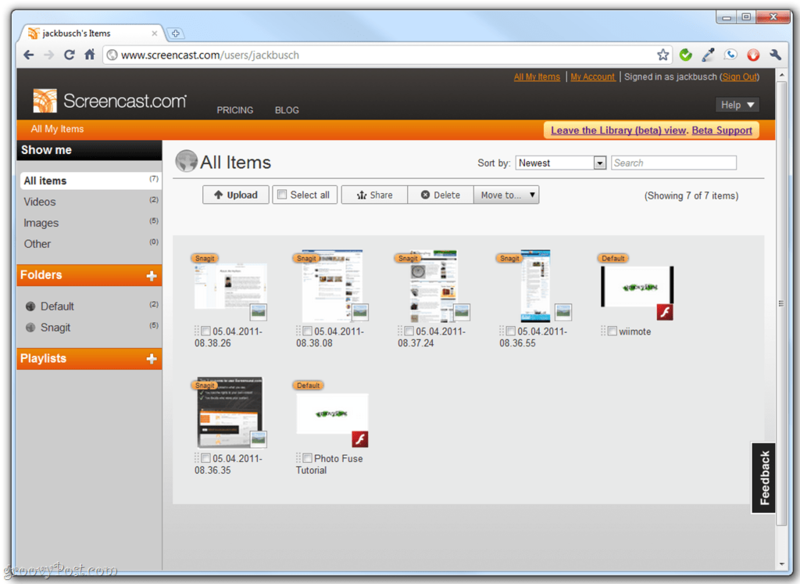 But the new Screencast.com beta is offering even further improvements. The current Screencast.com web interface is fine, but it’s not really cut out for organizing massive amounts of images and videos. And if you take as many screenshots/screencasts as we do here at groovyPost, then it’s only a matter of days before you have hundreds of files to keep track of. The new Screencast.com Beta uses a Library for viewing and organizing your content, and frankly, it’s a breath of fresh air. While folders always existed on Screencast.com, beyond that, navigating your content consisted of going through one giant list. Folders and playlists now appear on the sidebar. You can also filter by content type by clicking Videos, Images or Other under the Show me section on the left-hand side. Along the top of each Library view are editing actions which can be applied to one or more pieces of content. Simply check the box next to the item you want to edit and then choose an action. Great design and a big timesaver. 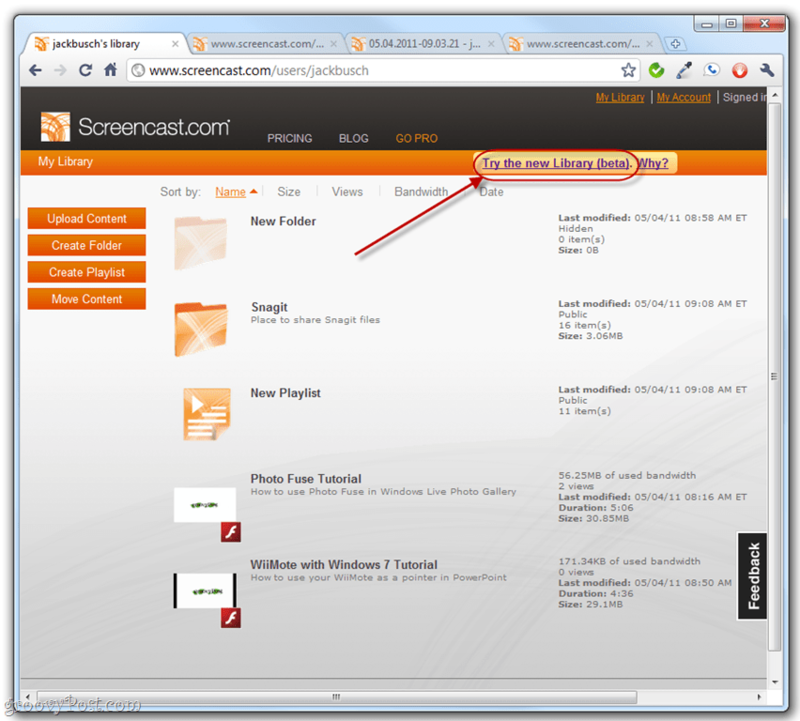 The new Screencast.com Library also has a search bar. You can search by keyword or string and sort by a number of criteria. In this screenshot, I’m getting hits from the video titles, but it also returns results from the tags, description, author and other meta-data. For example, here I get results because “Bluetooth” is in the keywords. 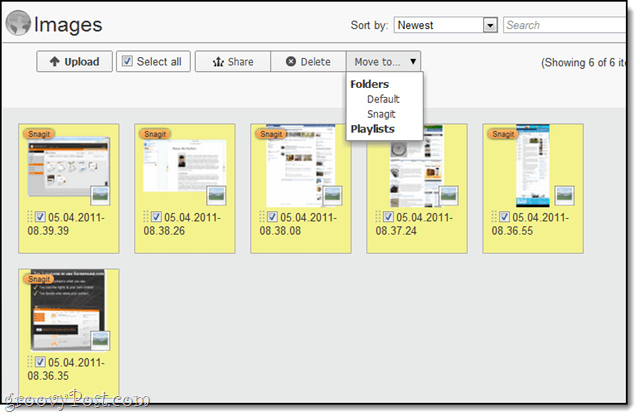 Editing video and folder information is now done in a tabbed interface, rather than in a pop-up box. This is also where you choose privacy settings for folders. 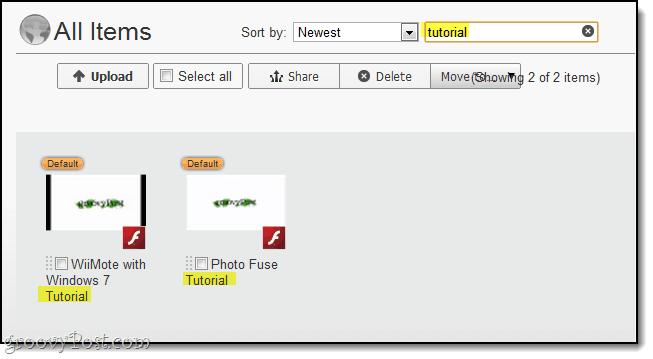 To edit folder information, navigate to a folder and Click the info icon. This reveals the info tab. Make your changes and Click Save. 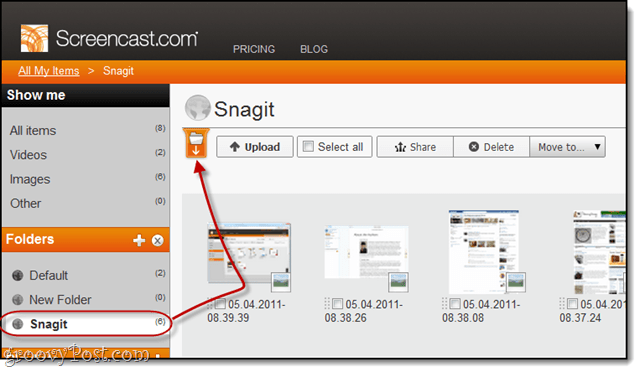 To edit individual pieces of content, Click them to view them and then scroll down to the info menus. This lets you preview what public viewers will see. To change items, Click the Details tab and choose Edit Details. 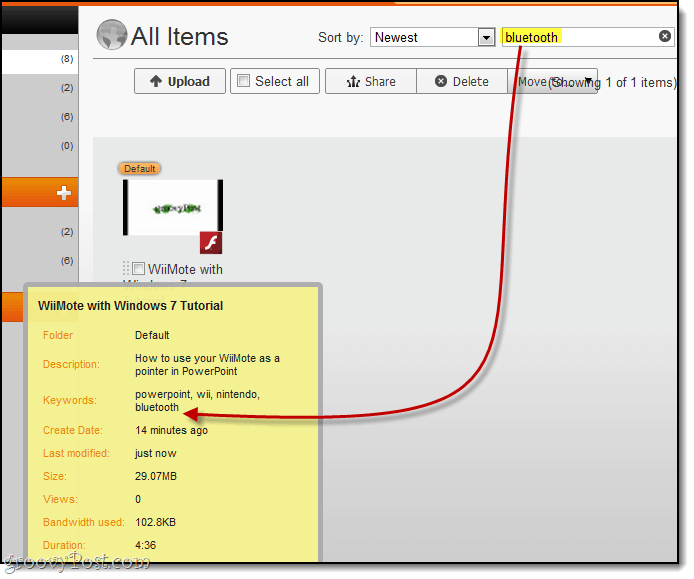 When you select and share multiple items from your library, it gives you the option to Share Playlist. 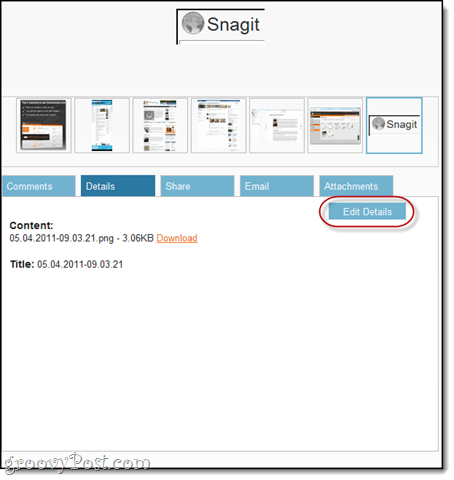 This is similar to creating a shared folder, and is useful if you want to send a collection of slides to a user. 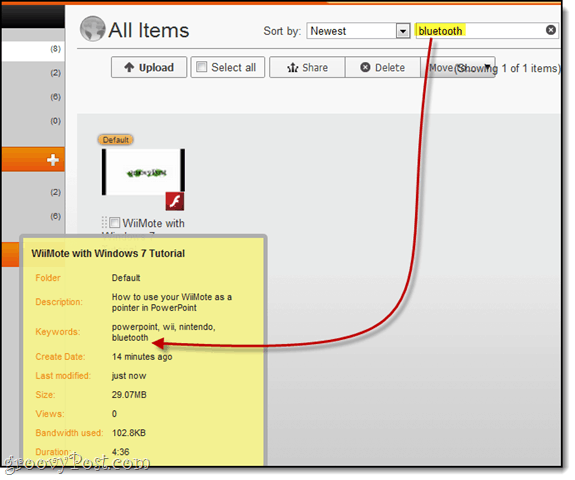 For example, here are the screenshots from this tutorial as a shared playlist. You can also embed them as a media roll. The public Screencast.com beta is 100% optional, and you can always switch back if you don’t like it. To access it, you will need an account so either log in or create a new account at Screencast.com and Click the Try the new Library (Beta) link in the top-right. To switch back, Click Leave the Library (beta) view. It really couldn’t get easier that. Overall, being that Techsmith is one of my favorite software companies out there, my expectations were high when I started playing with this new beta. As you can tell from my overall review above, they didn’t disappoint and I look forward to the final release!